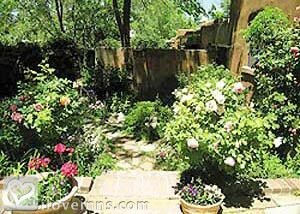 Santa Fe bed and breakfast travel guide for romantic, historic and adventure b&b's. 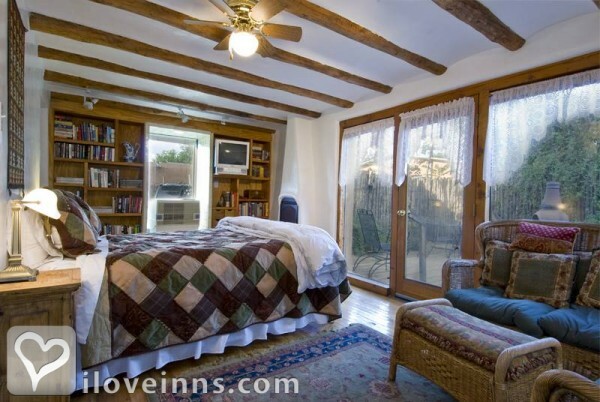 Browse through the iLoveInns.com database of Santa Fe, New Mexico bed and breakfasts and country inns to find detailed listings that include room rates, special deals and area activities. You can click on the 'check rates and availability' button to contact the innkeeper. Santa Fe has a rich cultural history that has been shaped by indigenous Native American tribes, early Spanish settlers and the later Anglo pioneers. This heritage can be seen in the unique architecture, foods, festivals and traditions of the area. The location of the "City Different" (as it is known) is also stunning as it sits at the base of the Sangre Cristo Mountains with four distinct seasons, some of the nation's cleanest air, 330 days of sunshine, spectacular summer skies and clear starry nights. There are numerous cultural and historical aspects to Santa Fe for a visitor to see and experience. The City has numerous art galleries, eight major museums, historical sites as well as plentiful shops and fine restaurants. During the summer, one can enjoy the world-class opera, a chamber music festival, as well as the Folk Art, Spanish and Indian Markets where hand crafted art of the highest quality is available. There are also year-round opportunities for outdoor activities such as hiking, biking, birding, river rafting, fly fishing and a full range of winter sports. Santa Fe is truly a world-class destination showcasing history, culture and human creativity in its many forms. By Four Kachinas Inn. Santa Fe lures world travelers with 400 years of rich history- combining European, Spanish, North American, US, and Native American influences and cultures. Santa Fe is consistently ranked in the top 25 of world travel destinations. 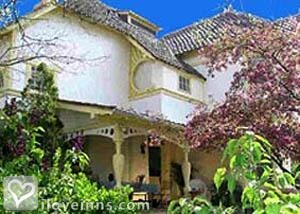 By Pueblo Bonito Bed and Breakfast Inn. Historic, intriguing, enchanting. Words can't describe this fascinating one-of-a-kind destination located in southwest USA. There are so many historic sites, cultures, and flavors to experience year round. Located next to the breathtaking Sangre de Cristos, plenty of outside enjoyment for folks of all ages. By Pueblo Bonito Bed and Breakfast Inn. Santa Fe is a world-class destination nestled in the Sangre de Cristo Mountains, the foothills of the Rockies. Arts and culture abound here with the blessings of blue skies on average 325 days a year. By Santa Fe Sage Inn. 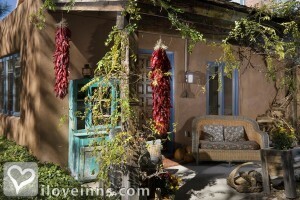 Santa Fe was recently named by The Los Angeles Times as New Mexico's top place to visit in 2012! The state's 100th birthday; adobe architecture; intriguing art galleries; world class dining and shopping are just a few of the reasons why! On average visitors comes to Santa Fe three times in their lifetime! Why wait? Come join us today. By Pueblo Bonito Bed and Breakfast Inn. The City Different is host to Fine Art, Opera, Fine Dining and a host of festivals throughout the year. Rodeo, Zozobra, Indian Market, Spanish Market and the Balloon Festival all offer fabulous sites and sounds. The Santa Fe Plaza is active all year and the Holidays in Santa Fe are spectacular. Canyon Road and the Railyard District host Art Events all year while Music Festivals, Farmers Market, Rafting and Skiing offer varied activities. By Don Gaspar Inn.